Amongst those difficulties is sustainable transformation. Many companies look at transformation as a change in business process and operational excellence. A digital transformation is different. It involves redefining the company’s value proposition, not just its operations. It also requires a reassessment of how digital technologies and information can enhance an organisation’s existing assets and capabilities to create new customer value.2 The connections between successful digital transformation and culture are inextricably linked. Companies of all sizes have a culture; the question is whether or not the prevailing culture is conducive to your organisation’s goal, such as a successful digital transformation. 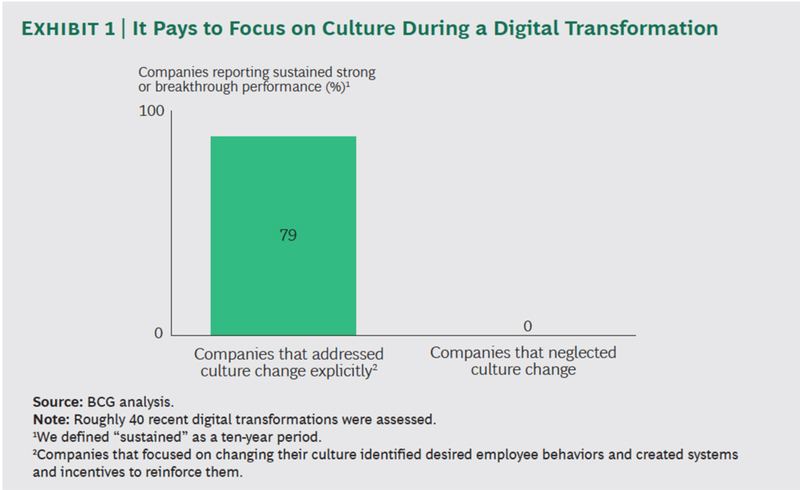 For companies that find their culture runs counter to their transformation, this article provides a perspective on why the right culture is important for enabling digital transformation, where some efforts have not delivered the expected results, and what you can do about it. Digital transformation is required to create and deliver meaningful, relevant and personalised brand experiences for each individual consumer. Solutions often hinge on designing for success and focusing on design experience. However, success also requires a culture that embraces, enables, and is even excited about driving transformative change. The organisation must deeply understand the need for change and the culturally appropriate strategy that gets them there. Leaders who direct transformation efforts are often deeply focused on structural and process changes and inadvertently deprioritise people. This approach is counter-productive to the very culture the leader aims to foster. Therefore, ensure that a culture-change team explicitly understands and values the organisation’s social dynamics and includes individuals who are genuinely well-liked. Digital transformation is now part of today’s business environment and requires establishing or enhancing a culture that supports the changes while the project enables the company’s strategies. Many enterprise leaders are embracing transformation, and learning along the way that becoming a more digital organisation requires a seismic change in employee behaviours and activities, which drive culture with both internal colleagues and business partners. 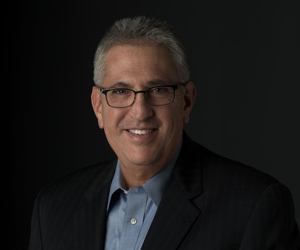 Michael Leeds, Senior VP of Client Engagement, Americas, with SGK, has been deploying brands and brand processes for more than 25 years. He evaluates brand programmes through KPIs, which provide insights into the effectiveness and efficiency of the program’s tools, workflows, and resources. For company information, visit www.sgkinc.com.